"Everything Love Is" & "The Night Rainbow"
This is the PaperWeight choice for January - two beautifully written works of fiction which explore several universal themes with interesting, complex characters who are exquisitely crafted through elegant, charming and graceful images and metaphors. Enormous thanks to Claire King for her input with these questions and discussion points. 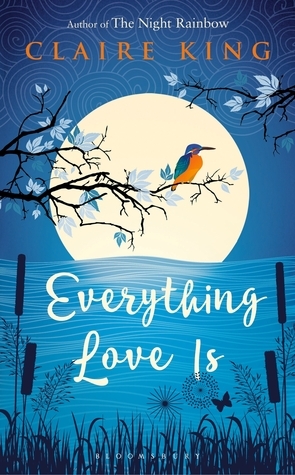 "Everything Love Is" is a poignant, mysterious and unforgettable story of love, and of the happy endings we conceive for ourselves. The story starts with the narrative of Baptiste Molino, a therapist living on a houseboat, with his a new client Amandine Rousseau who has visited him because she has heard he makes people happy. "I don't believe anyone else can make you happy," is his gentle, considered reply, "But you can be helped to find your own way there." Amandine wants to be helped. She wants to feel alive and to fall in love. As well as his work, Baptiste is also searching for the identity of his birth mother. A woman who has left no clues behind except a violin, a wooden statue and a word inked into the skin of her arm. Can Baptiste help Amandine? And can Amandine help Baptiste? · Whose story is this? · How did you feel during the early chapters of the book? Why do you think the book was structured this way? · Now that you have read the book, what do you make of the title? · Which manifestation of love in the book do you most relate to? · Is this a romantic book? · Who, if anyone, has a happy ending in this story? What props could you use to start a conversation about "Everything Love Is"? "When travelling by train, no matter how set you are on your destination, it only takes one set of points to switch and you are veering off in an entirely new direction." "......Love is like a garden, you have to put your mind to it and grow it." "[Love is] spending your waking hours being terrified of losing what is most precious to you." 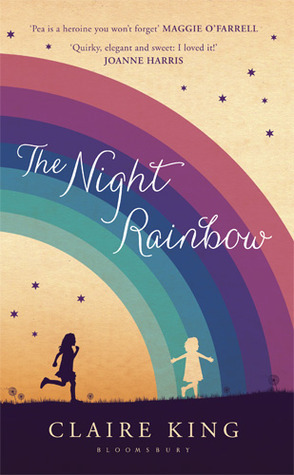 "The Night Rainbow" is the story of Pea (Peony to her English mother, Pivoine to her French father), the world she creates to win back her mother's love, and the stranger she trusts to save them both. During one long, hot summer, five‐year‐old Pea and her little sister Margot play alone in the meadow behind their house, on the edge of a small village in Southern France. Her mother is too sad to take care of them; she left her happiness in the hospital, along with the baby. Pea's father has died in an accident and Maman, burdened by her double grief and isolated from the village by her Englishness, has retreated to a place where Pea cannot reach her ‐ although she tries desperately to do so. What do you think is the significance of the title and how effective do you think it is? ‘Our choosing began when Maman came back from hospital last year. She had changed from fat to thin, but she didn’t bring back a baby like she promised. 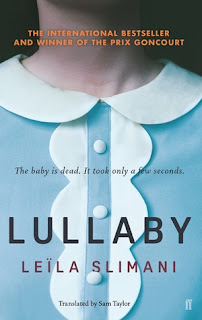 She left it at the hospital, along with her happiness.’ The author has made the stylistic choice of presenting the narrative using the perception and language of a child. How does this style suit the exploration of a dark and complex topic like grief? Does it give a fresh perspective on our understanding of temporality and loss? How are descriptions of nature, in particular the separation of Windy Hill and the Low Meadow, used to emphasise Pea’s (and Margot’s) mood at different times in the story? Themes of innocence and experience are prominent throughout the story. Where do they clash? Is this a simple dichotomy between the world of adults and children or is the relationship between the two more nuanced in the novel? How do the different characters – Pea, Maman, and Claude – grieve? ‘Do you really think...? Says Claude. Which isn’t a proper sentence. And he looks over at us. Well what was I supposed to think? says Josette. (...) No one knows you any more, Claude. It’s as though you died with them.’ Claude, and to some extent Maman, become ostracised after their families are struck by tragedy. Why do the villagers turn their backs on them? Is grief taboo in Western culture? Or is this an example of small town mentality, rejecting ‘otherness’ (e.g. Claude’s eccentricity, Maman’s English origin)? Why does Pea feel simultaneously happy and sad at times? Are these two conflicting feelings or one complex feeling? Is this emotion presented as positive or negative in the novel? ‘The scratchy tips of his fingers brush my skin, back and forth. Every little girl needs a secret, he says.’ The novel subtly hints at Claude’s possibly inappropriate behaviour during his early encounters with Pea, but the hints disappear further into the book. Towards the end this theme only survives in the form of other adults’ frowning at Pea and Claude’s friendship. What purpose do these early suggestions serve? Are they there to make the reader think like a suspicious adult in the early stages of the novel, or are they an expression of Pea’s defence mechanism when faced with a stranger? What props would you use to start a conversation about "The Night Rainbow"? "Margot and I are the same and not the same, you can tell by our dreams. I am always dreaming about witches chasing me, or picnic days at the beach before all the dying happened - these are the best ones. Margot dreams more about the tiny people that live in the cupboards and have parties on Thursdays, and about jigsaws that make themselves." "I don't even remember the last time she kissed me, because I never knew I had to." "the summer babies [birds], all thin and wobbly and not as polished as the grown ups. The mother bird...keeps leaving the wire and flies in big circles.....Come on, I think she is saying, flying is easy. But her children edge from side to side on the wire, cocking their heads and looking nervous.......She doesn't [put food into their mouths] anymore. They have to do it for themselves."